Abuja – Guaranty Trust Bank (GTBank) on Thursday put up desperate moves to calm customers who were aggrieved over the arrest of Innoson Motors’ boss, Innocent Chukwuma, from closing their accounts. Many aggrieved customers of bank stormed the branches of the bank in Abuja requesting their bank accounts be closed. Many others were seen transferring their deposits to other banks. But the banks requested some aggrieved customers to officially write and wait for the bank’s response while the bank’s staff were seen speaking one-on-one with others. 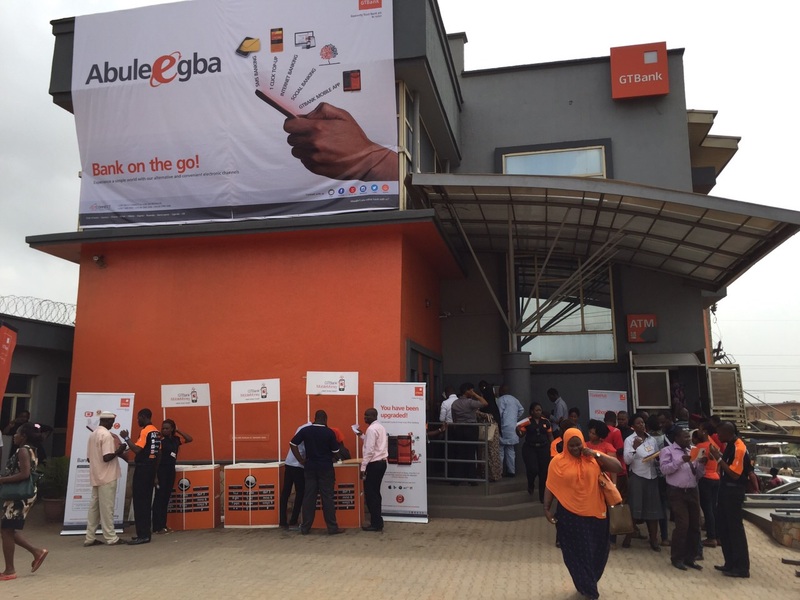 Speaking with some of the customers, they blamed GTbank over the arrest of Chukwuma by the Economic and Financial Crime Commission. INDEPENDENT correspondent who visited many of the branches following threats of closing their accounts on social media saw long queues. The customers were told at the Customer Service Section of the bank to apply to their account officers and wait for response while those wanting to make inter-bank transfers were told to either wait or come back the next day. A miffed customer in one of the branches engaged one of the Customer Relation Officers (CRO) on a heated debate asking why he should apply. “Why should I apply?” he asked in a loud voice with support from other customers who were queuing to make the same application. “It’s my account so I want it close now, now! And don’t send me any alert again after today,” he boomed. When approached why he was ending his relationship with the bank, John, as he could only identify himself said, “The bank owes Innoson billions of naira but they are using EFCC against him. One of the CROs when approached said, they are just doing this out of anger adding, “They might regret it later. At the Wuse 2 branch, the queue extended outside with the security finding it difficult to control the crowd. One of the customers who spoke in Pidgin English said, “Any person who wants to bring down Innoson would go down first. “I am here to show solidarity with my brother, Innocent Chukwuma. GTbank will fail. “Innoson has won the bank in many court cases so they want to use EFCC so that he will forget his money. That won’t work,” he thundered. Another customer who volunteered to speak said he had transferred millions to another bank. He also said the wife who had travelled would do same as they were ready to move their domiciliary accounts as well. Inside the banking hall, the aggrieved customers were seen chatting and discussing the Innoson case with the bank and why EFCC was involved. When INDEPENDENT approached a middle-aged man said to be the branch manager, he declined to comment, urging our correspondent to write an official letter to Lagos. Innoson Group has been engaged in serious court cases with GTbank. It accused the bank of being indebted to the auto manufacturing company to the tune of N8.5 billion in a series of damages stemming from illegal service deductions by the bank. An initial fraud case brought against Mr. Chukwuma was withdrawn earlier this year.